Hope you are all doing great! 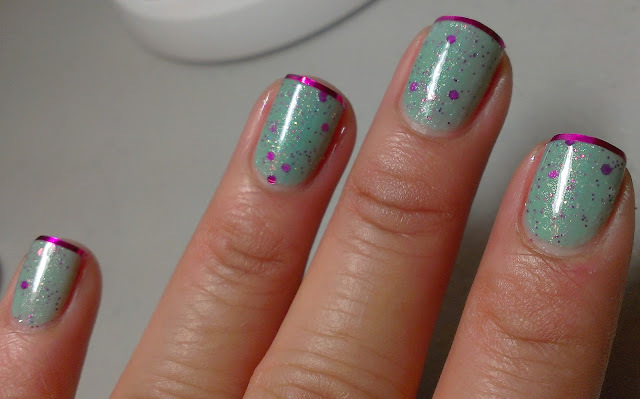 Today I have a quick and simple mani to share with you guys. 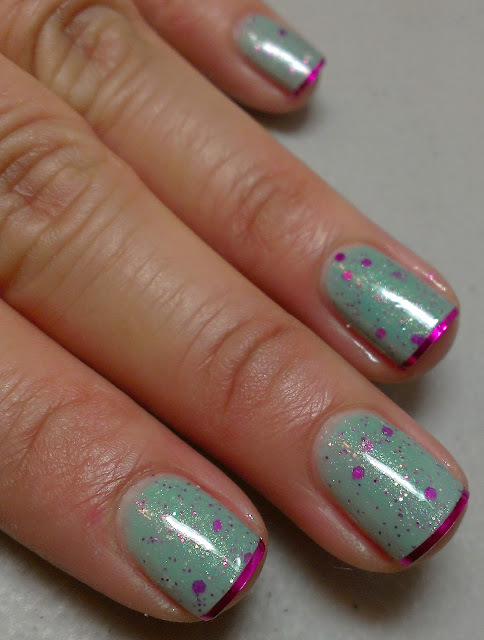 2 Coats of Pound of Glitter ~ Never Enough of These! the formula of this polish was top grade, loved it, no glitter fishing required :) glides on smoothly! Then added the striping tape to the tips, I got the 12 pcs set of these from Born Pretty Store for 8.99, you can find it HERE! How gorgeous is this polish???? Very pretty! has anyone compared this to NL's of time and space? Love it! Love the purple tips!! I love the pop of fuchsia against the mint! Lovely! I love that glittery polish, nomnomnom! Ohhh I love this! My favorite color combo is pink and teal. it's so pretty! at first I thought it was Nerd Lacquer polish! yay.... i bet you will love it! This is SUPER pretty and very elegant! this is so cute and a great idea! and this polish combo looks like all of time & space form nerdlacquer, so bonus there! This mani is absolutely gorgeous! I love it. Love this color!! I just picked up a loreal Paris polish very similar!! Love the design you make as well!! OMG this is beautiful!! The polish looks so much like Nerd Lacquer All of Time and Space, what a great dupe for people who missed out. Love the addition of the striping tape too, so clever! 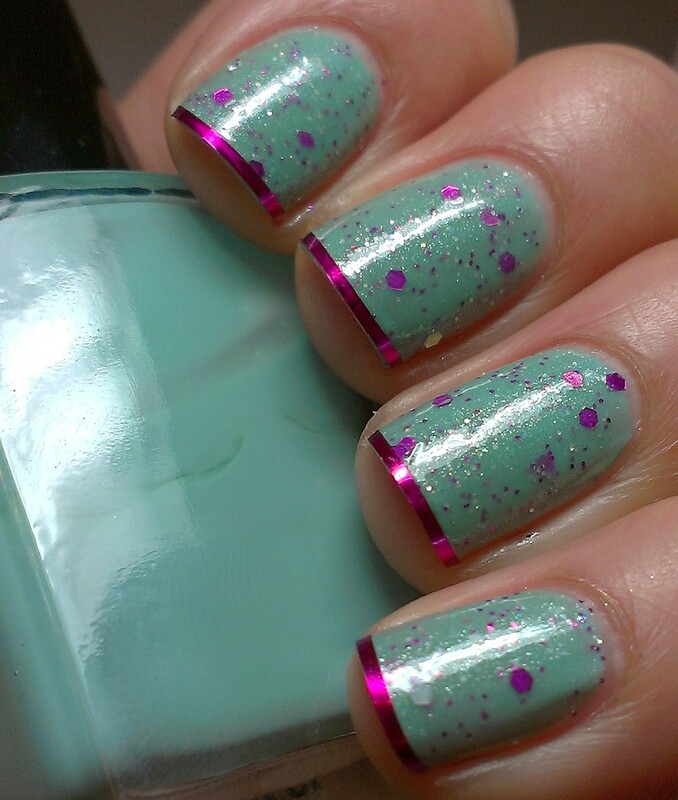 This is very cool as you know-you sure are rocking the manis lately! Oooh the striping tape finishes it off so perfectly. Looove that glitter! I love this! I never would have thought to use striping tape as a french tip! love it! you got those tape tips so straight!! !